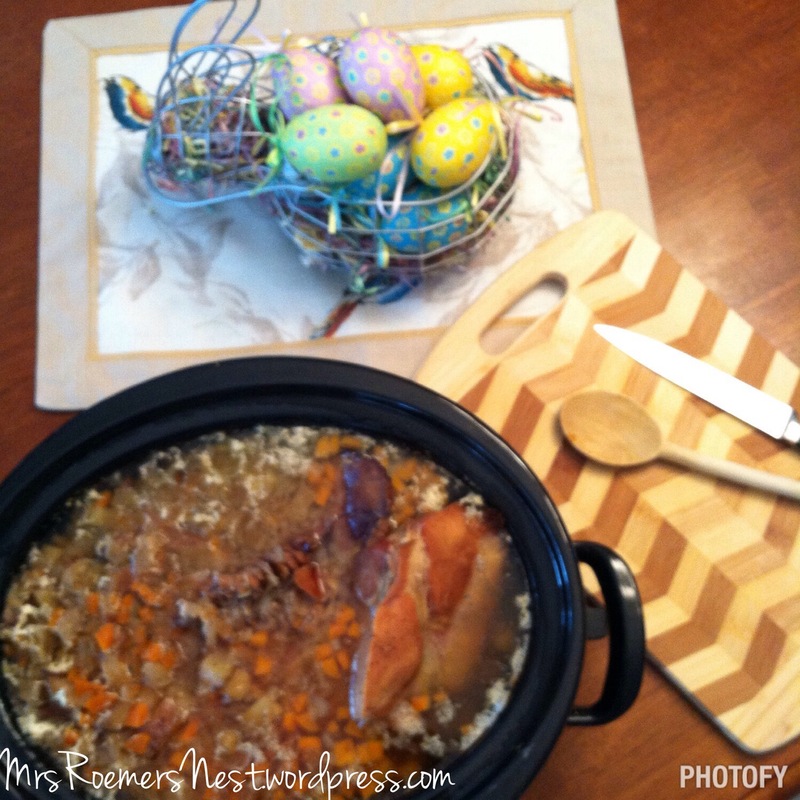 My favorite comfort food of all time…Crock Pot Split Pea Soup!! Both my mother and my father would make this anytime they had a hambone and it always made the house smell wonderful but did I ever eat it?? NO. It looked disgusting AND it had peas in it AND a giant ham bone. No thank you. Looking back, I really wish that I had tried it…at least once, so that I could have something to compare it to. It’s always around the holidays when I feel homesick the most and it’s usually when I do best cooking. 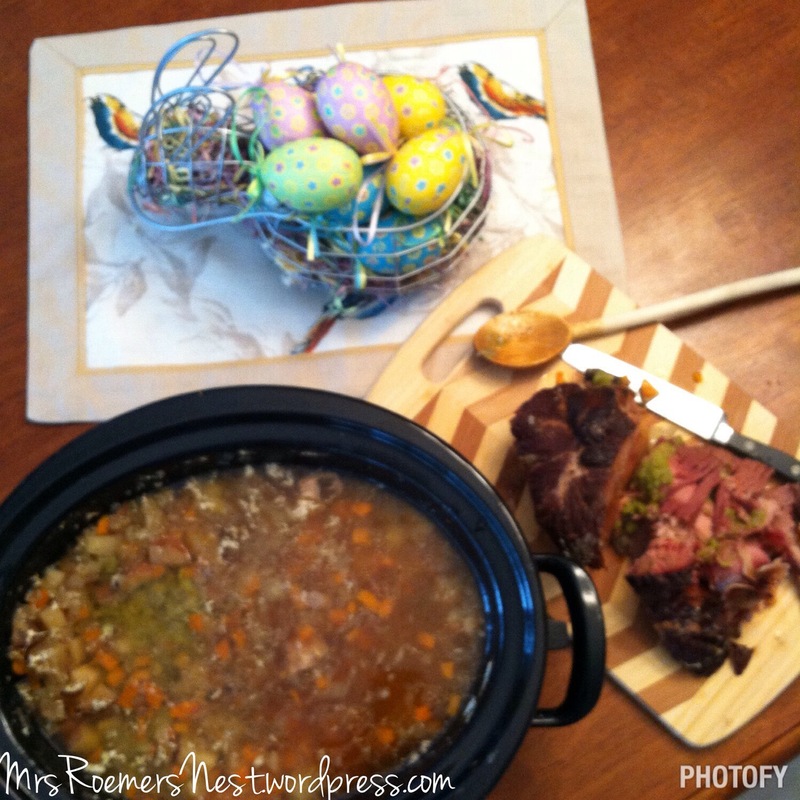 So, this Easter was no different from any other..gotta save the hambone for some home cooked soup. You know, making comfort food to comfort my heart, or at least try. 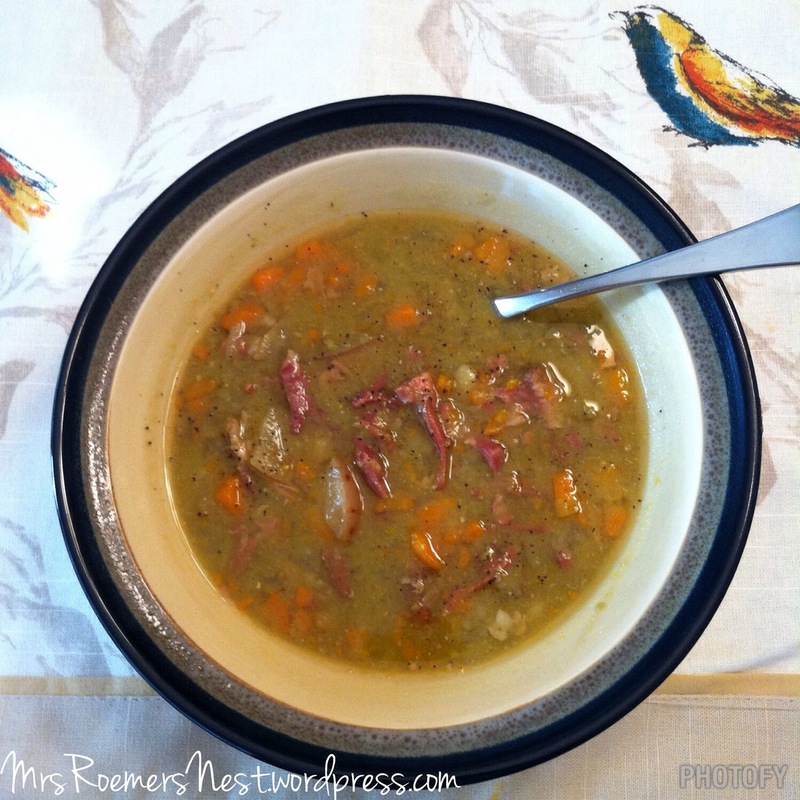 Split Pea Soup has got to be one the easiest soups to make and it brings great comfort to my heart and also to my belly. It makes a ton so get ready to share with family or friends or stick some in a ziploc bag and freeze it. It freezes great! I recommend freezing it in single portions. That way when the husband is out of town and you don’t want to cook but you are looking for a lil’ comfort…just take a bag out of the freezer and voila! Comfort food without any work. 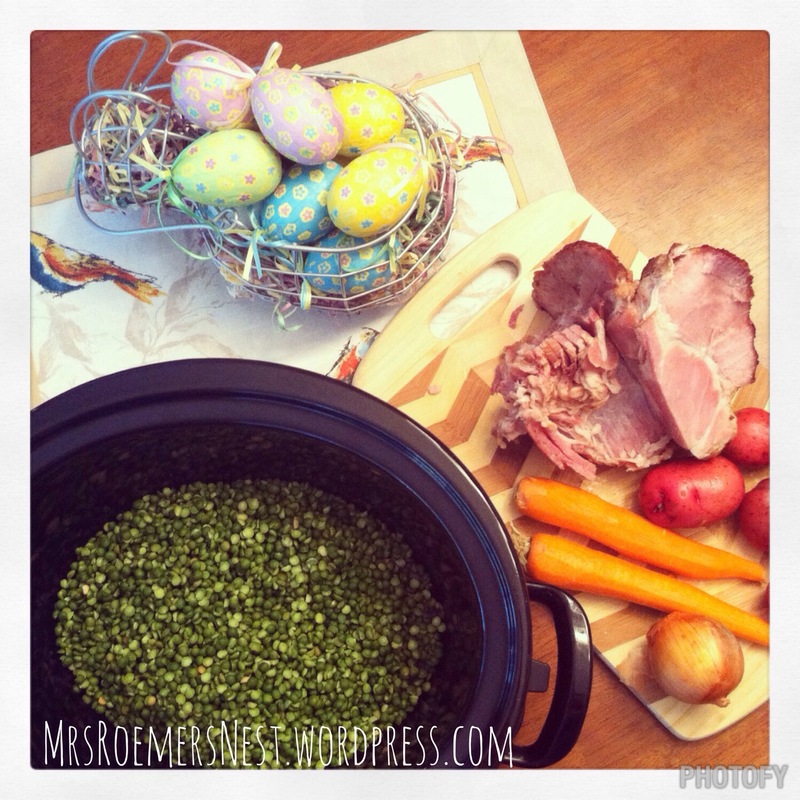 Rinse the peas and put in the crock pot first. Next, add the hambone. Add the potatoes, carrots, onion, salt and pepper. Fill with water, leaving about 1/2 inch at the top. Cover and set on low for 10 hours. Remove the hambone very gently. Stir the soup. The peas will lose their shape and the soup will thicken. 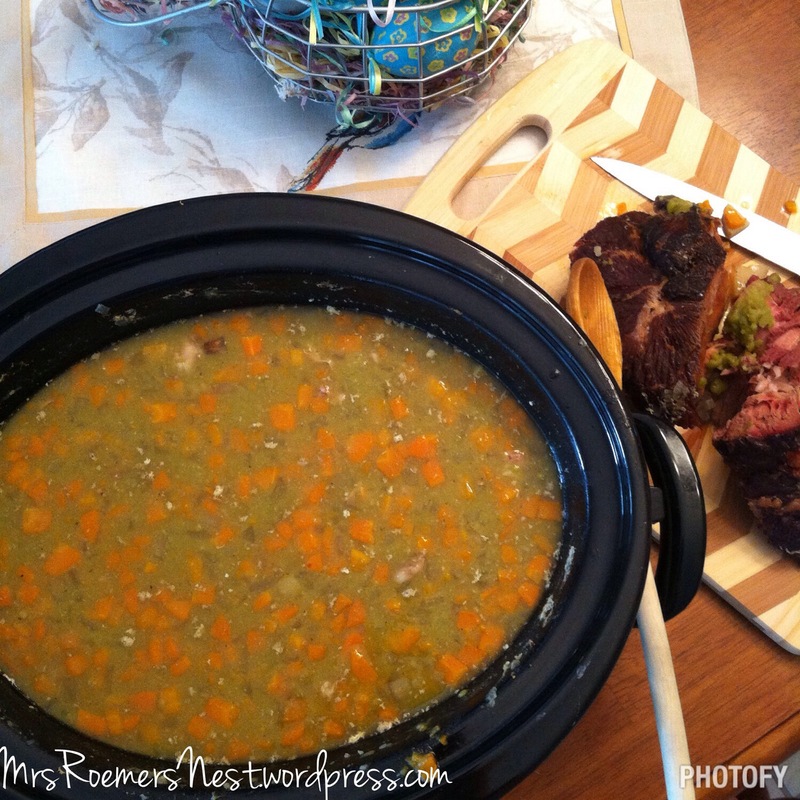 If you want an even thicker soup, mash the potatoes with a fork…I love a thick pea soup! 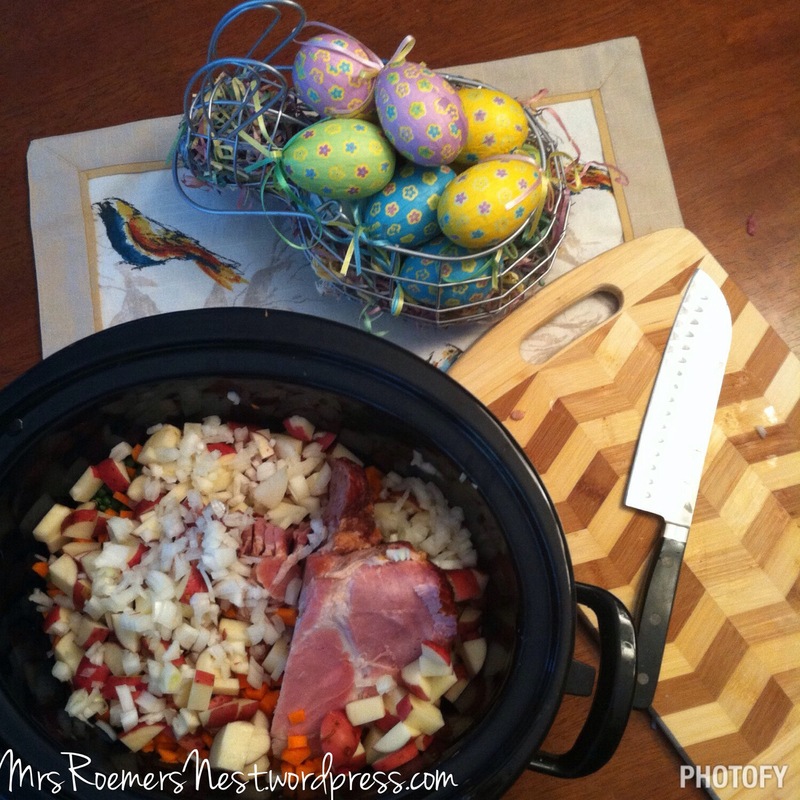 Shred the ham with a fork and add as much or as little back into the soup as you would like. I like just a bit but to my husbands bowl, I add a bunch! And please let me know if you decide to try it. I would LOVE to hear your thoughts! You can also find me on Pinterest & Facebook.